Do you have left-handed electric violins? Our electric violins are not adapted to left-handed person. Will the 3Dvarius with a 3D printed body sound any good? Can I personalize my electric violin? Yes, we can personalize and adapt some parts of our electric violins like the 3Dvarius and the Equinox. At the contrary, the Line cannot be personalized. Same personalizations are available for the 3Dvarius. We can also adapt it to your morphology, and base it on your own classical violin to facilitate the transition between your classical violin to your 3Dvarius. Please contact us to know more. Do you have child models? Currently, our electric violins are only available in 4/4 size. They don’t exist in child versions (1/4, 1/2, 3/4). Do you have a 5, 6, 7 or 8-string models? Currently, our electric violins are available in 4-string and 5-string versions. What are the advantages of a 5-string electric violin? A classical violin uses 4 strings. But some electric violins are available in 5-string versions. They are very popular on the US market. We add a low C string from viola, giving you the range of a violin and viola. What you gain is a very powerful and resonant sound increasing your playing possibilities. We invite you to read this article explaining with more precision all advantages of a 5-string electric violin.violin-headphones/”>how to play the electric violin with headphones. Can I play with headphones? Yes, it’s possible. But, you cannot plug our electric violins directly to headphones. You have to use a mini-amp, or an amp, or a multi-effects processor by example to be able to. All these devices have one headphones socket. Read our article about how to play your electric violin with headphones to know more. What kind of amplifiers do you recommend? Of course, an amplifier is essential to use an electric instrument. The more important point is to select an amplifier which will answer to all your needs. You need to determine in what conditions you will play: interior (at home) vs exterior (in a band, or alone in the street). If you would practice at home, a 20-30 watts amplifier will be great. Otherwise, it’s hard to advise you because many parameters are important: style of music, number of instruments in your band, needed sound power, etc. The most important point is to respect frequencies of your electric violin. All amplifiers don’t matched. We didn’t recommend to use an electric guitar amp. They are not great for electric violinists. Bass amplifiers are better! 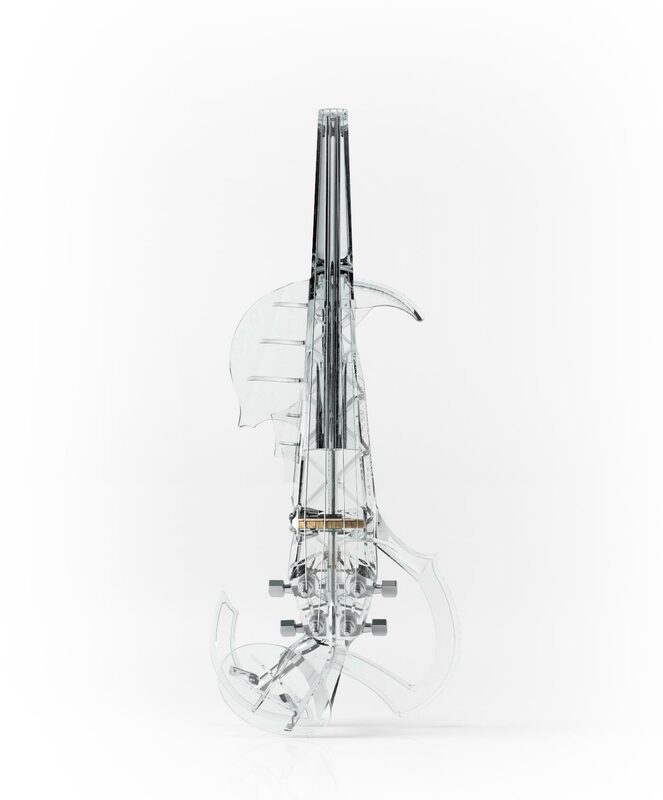 Please read our article about electric violin amplifier. Do the instruments make any sound acoustically? Careful, do not compare acoustic violin VS electric violin. Electric violins don’t use a resonance box, and so you need an amp to listen them. We don’t create electric violins to replace acoustic violins. Of course, electric violins create a small sound without amplifier, and you can use it to tune your electric violin. But you cannot play for your audience without amplifier. What effects pedal do you recommend? Generally, we use BOSS pedal boards like the GT-100. It is possible to use a pedal board integrating already all effects, or to create your own set of effects by using different small stompboxes. Other brands are also excellent. We recommend to begin with small pedal boards then to change for professional ones. If you prefer pedalboards with integrated effects, be sure that you will be able to create and adapt effects. These pedalboards are created for electric guitars and some effects are not great for electric violins. That’s why we recommend to adjust them. Please read our article about which single effect pedal or effects processor for electric violins. Yes, we accept payment in installments if it concerns a 3Dvarius order. Please contact us to discuss about it. It could be due to a limitation from your bank. Many banks limit the total amount that you can use immediately with your credit card. If you’re not able to use the secured credit card payment, please use Paypal, or contact us to pay by wire transfer. Are your electric violins guaranteed? Of course, all our electric violins have a two-year guarantee. What happens if I need to import your electric violin? If you live in the European Union, no fee cannot be added by your country. If you are not resident of the European Union, you will have few importation fees. Generally, customs will add VAT of your country and one percentage for importation based on the price of your instrument. Unfortunately, we cannot determine fees precisely because they are different for all countries. Please do some searches on Internet or contact customs to know more. How do you send electric violins? Regarding transportation, don’t worry, we work with professional transporters and sign up for an insurance. It takes between 3 and 5 days of transportation in the UE and in North America. It can be more longer for others countries. Our music instruments are sent in their cases and carefully packed in a cardboard box. Please send us your question, we will answer as soon as we can!